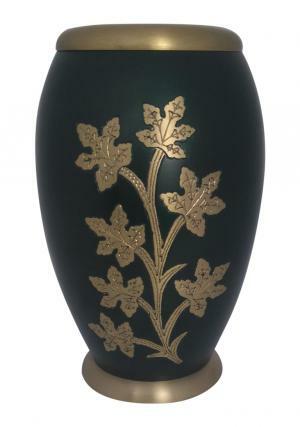 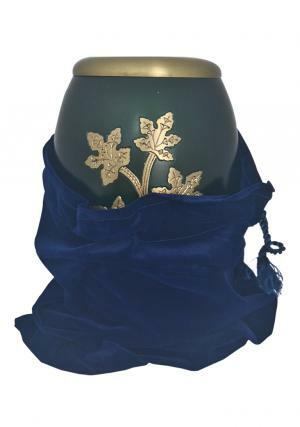 Flat Top Ivy Golden Leaves Adult Urn is made of pure quality brass metal with coated enamel of forest green and hand engraved ivy leaves that take the space of shiny brass metal with void spread leaves. 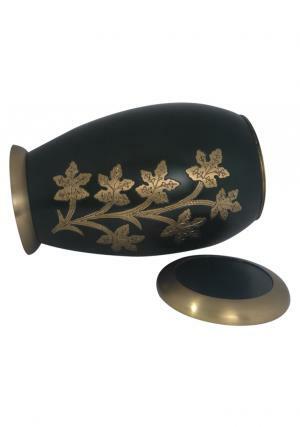 The Ivy golden Leaves Adult Urn has a flat top lid with smooth edged gold finished brass used as a closure of the urn from top and secure the ashes with decorated brass base stand. 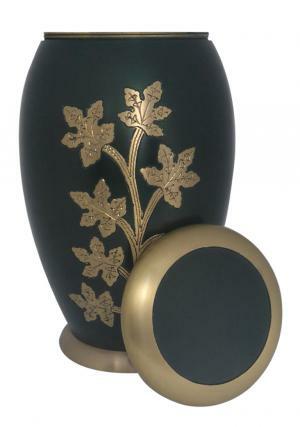 The Adult funeral ashes urn has a capacity to hold 200 cubic inch ashes with measured height of the urn as 10.24 inch, 6.3 inch width and weighs 2.3 kg approximately.